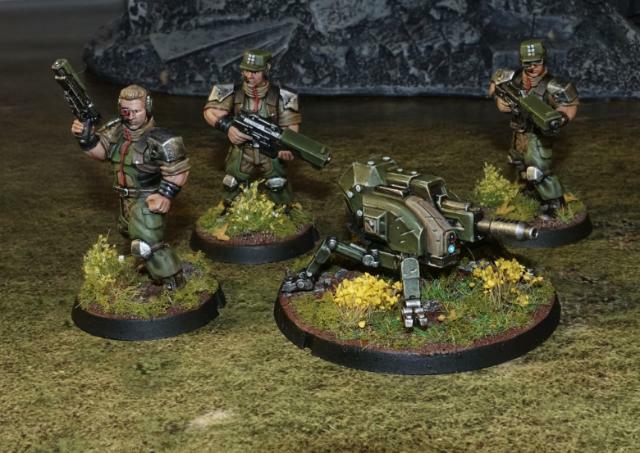 Salute 2019 is on Saturday, April 6, 2019 at Excel London, run by the South London Warlords - If you're going along, come down to booth TK16 and say hello, and check out our shiny new plastic! It's been a huge year for Maelstrom's Edge! As 2018 draws to a close, we thought it would be fun to take a moment to have a look back at what we have achieved over the last year. 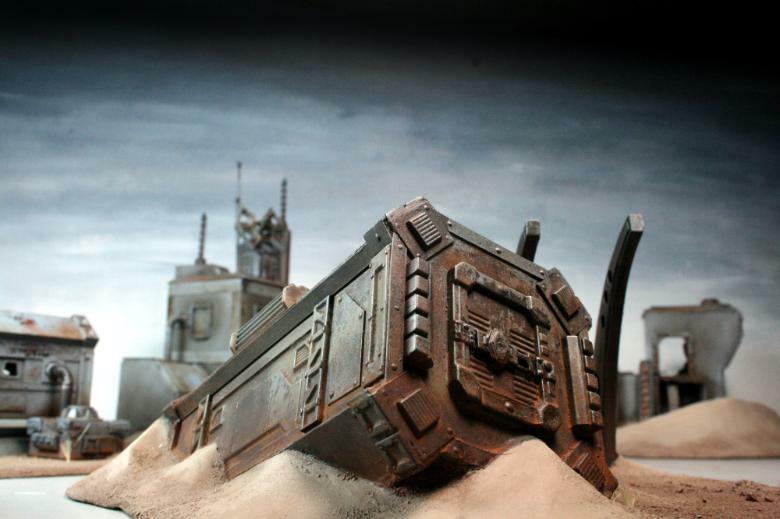 Our biggest focus for this year has been to expand the model range, to give players more options for their games. 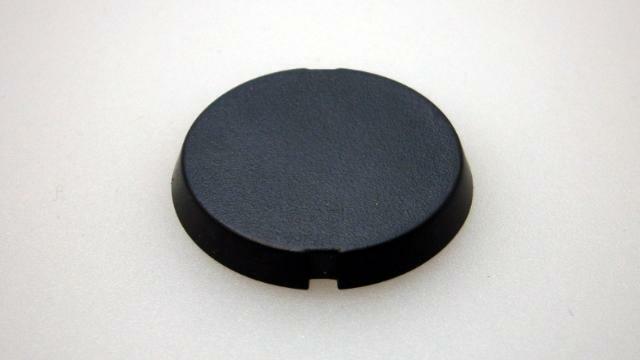 We rolled this out with regular model releases in either plastic or resin. As the new kids on the block, the Broken received the lion's share of new models, with a slew of non-Core options to expand the force. 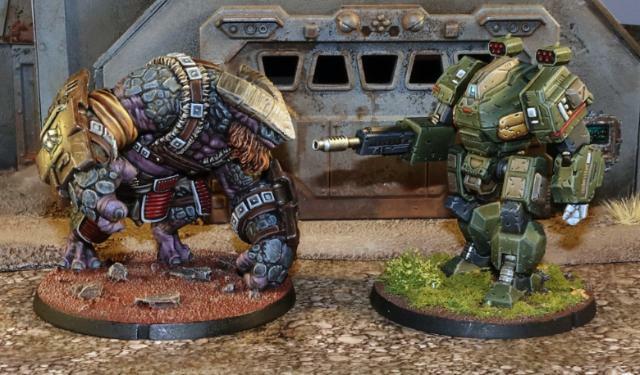 These included two Chieftain variants - a Forsaken Chieftain with a Xeno spotter, and a Tech Chieftain variant with bionics and custom weapons, a Sig Jammer to mess with an opponent's technological capabilities, the ever-impressive Gnolti, our largest model to date, and the quad-mortar-carrying Pa'ku. We also introduced a new category of unit to the game, with two 'Add-on' unit options joining the Broken ranks. 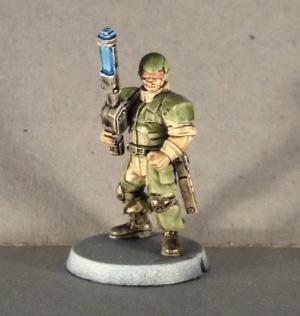 The Marsayan Hypnotist and Hakoyu Grand Master can replace a normal squad member in regular Broken infantry units, adding different capabilities and tactical options to the unit. 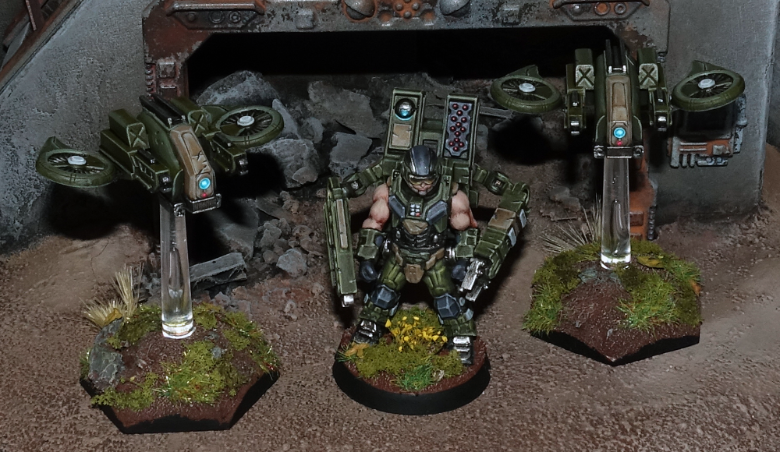 The Epirian Foundation also received some reinforcements, with a resin Contractor Drone added to the mix, changing up how Contractor units are formed. 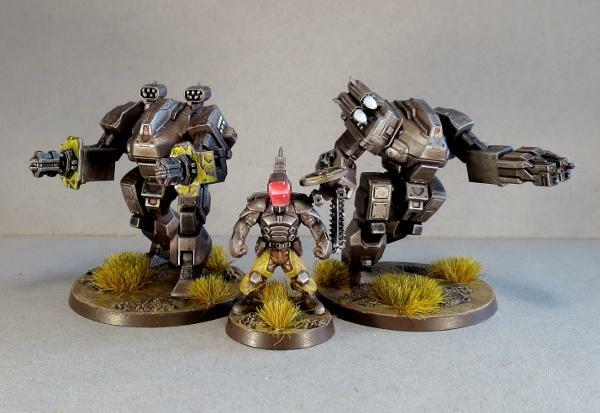 The original Contractor unit was replaced with Contractor Defender and Contractor Scout units, with new battefield roles defined by the drones that accompany them. A new Command option also joined the fray, with the release of the plastic Master Bot Handler kit. This fantastic kit allows you to build a mech-suit enhanced commander with a wide array of different weapon configurations, and accompanied the release of a new sub-faction for the Foundation: The SecDef. 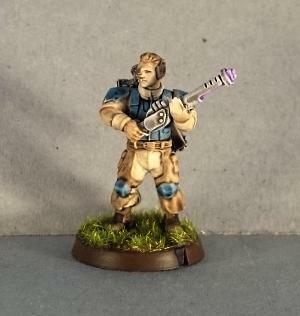 The SecDef are the elite troops of the Epirian Foundation, and take to the field with the best weapons and equipment money can buy. 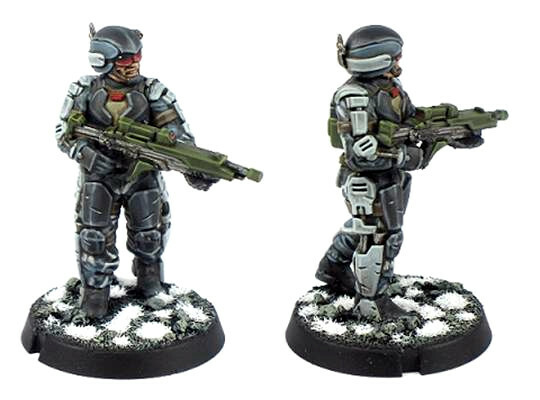 We kicked off this range with another plastic kit, SecDef Infantry, used to build SecDef Tactical Teams, and have added to this with our latest release, in the form of resin Boostpack Infantry for SecDef Rapid Intervention Teams. 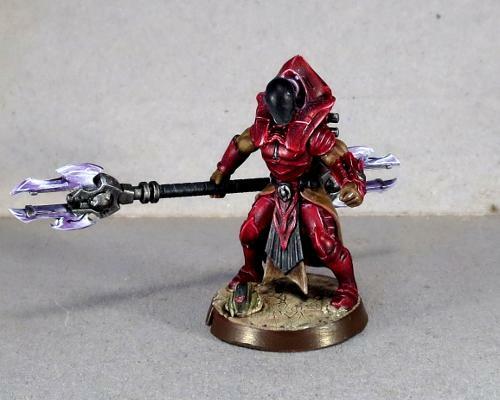 Through the Comm Guild blog, we continued to release weekly modeling articles, covering a wide range of different hobby-related topics including painting techniques, conversion ideas and tutorials or spotlights on different terrain projects. 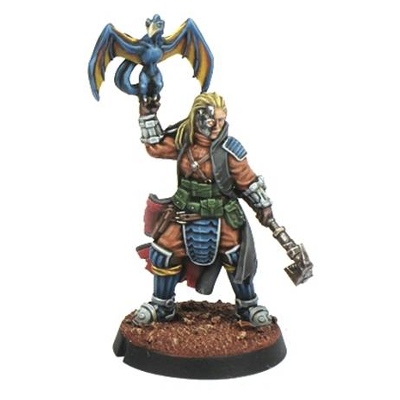 There are too many to list them all here, but you can find them all in the Hobby section of the Maelstrom's Edge website. There have also been some big changes to the Maelstrom's Edge website over the last few months, with the addition of more content and some rearranging to make things easier to find. We also added printable PDF versions of all of our rules cards in the Rules section, to supplement the online-viewable cards in the Force List viewer. 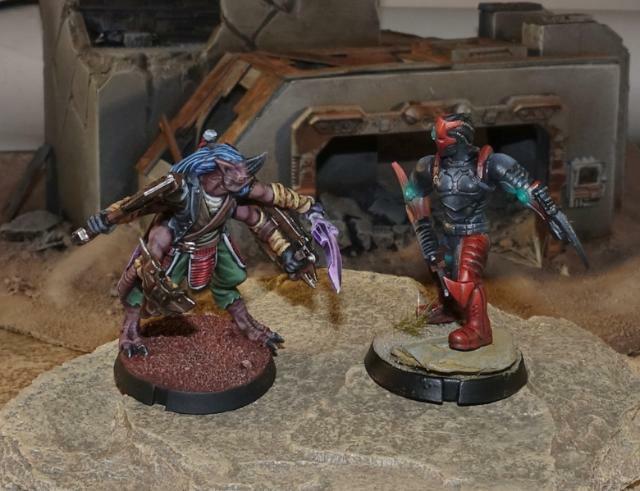 We will be continuing with our regular release schedule, with new models coming over the next few months for the Epirian Foundation and the Karist Enclave. The usual onslaught of modeling content will continue through the Comm Guild, and we'll be looking to add more gaming material as well in the form of battle reports and tactics articles. Our thanks to everyone who has supported us through the past year. We're looking forward to sharing new and shiny things with you in the year to come! 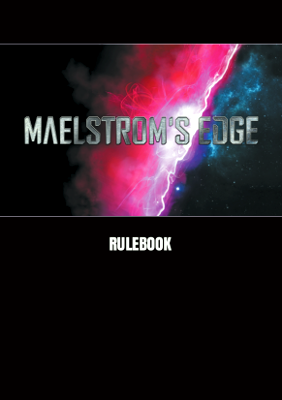 Have questions about the Maelstrom's edge models or rules? Need help with a modeling project? 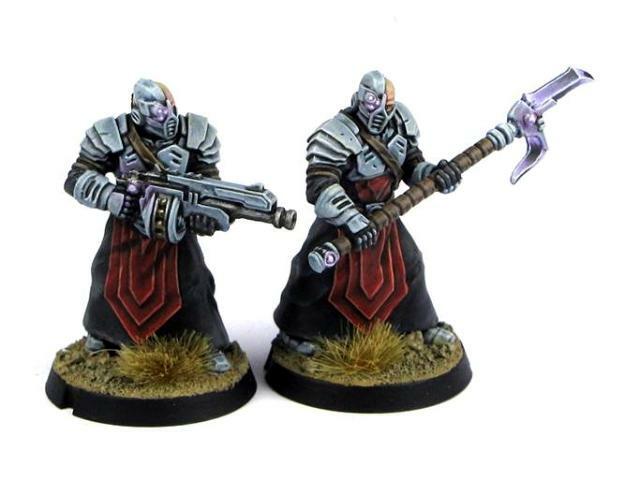 Have conversions or painted models to share? Head on over to the Comm Guild Facebook page to discuss and share everything to do with Maelstrom's Edge! 2018 is halfway gone already, and so far it's been a busy year for Maelstrom's Edge! We would hate for you to have missed anything, so here's a look back at what these six months have brought us. Our monthly model releases saw some hefty reinforcements arrive for the Broken, in the form of the Marsayan Hypnotist with his innate powers of misdirection, the equipment-tinkering Sig Jammer, a specialised Forsaken Chieftain, and of course the giant, muscle-and-scale-clad behemoth that is the Gnolti, our biggest model to date! 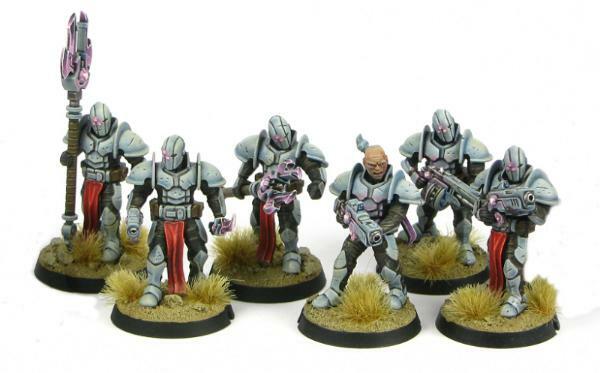 All of these add to the existing Broken Infantry units to allow for a more varied and tactical army. 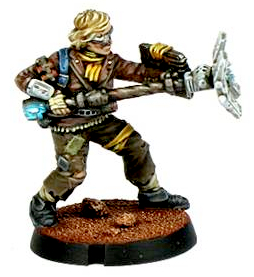 One of the great things about the Broken as a faction is the sheer range of possibility opened up by their nature as a melting pot of all of the leftovers and unwanted dregs of galactic society, and we're looking forward to exploring this further with future model releases. 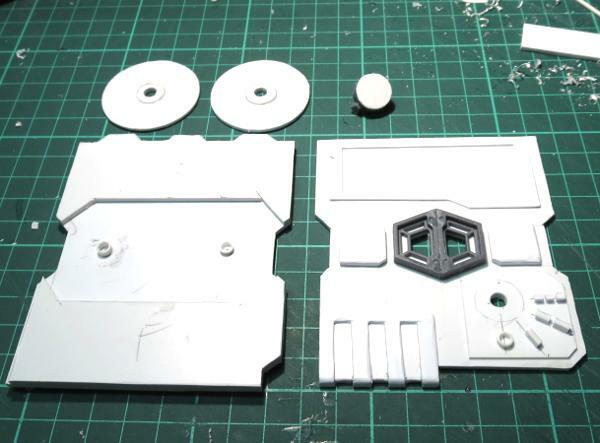 April saw the release of a new plastic kit for the Epirian Foundation - The Master Bot Handler. 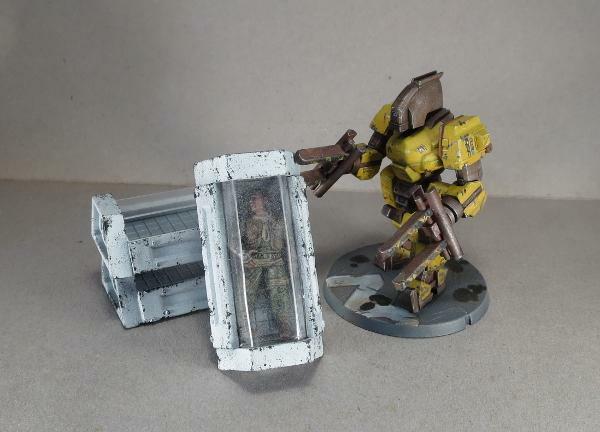 This multi-part kit comes with a raft of weapons options to equip your Master Handlers for a variety of battlefield roles, as broken down in the 'Equipping the Epirian Master Bot Handler' tactics article that you can find here. 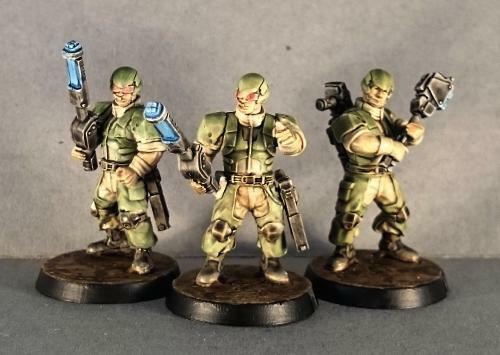 Over on the Comm Guild blog, Iain shared some different modeling ideas for this fantastic new kit, with a general modeling spotlight here and a conversion guide for a quad-weapon-equipped 'special character' version here. The Comm Guild blog is home to an ever-growing listing of different modeling articles. On the terrain front, we've made mini hab domes from plastic bowls, created a grove of scifi cactus from foam balls and old toothbrushes, built personal sleeper caskets for those long interstellar trips, tinkered with some scatter terrain for detailing urban tables, assembled an Epirian-themed dice tower, set up a residence in the desert, made a ruin from a cardboard gift box, and finished up with a sci fi pagoda! 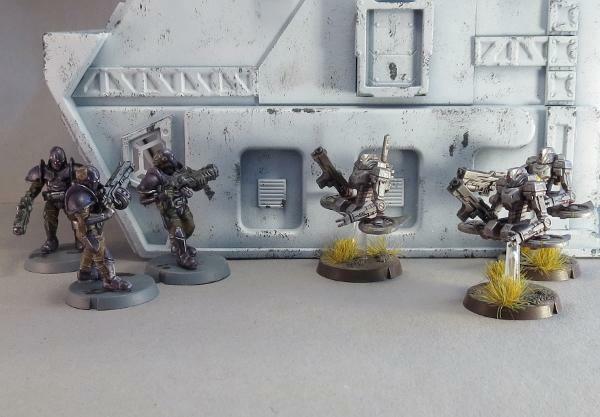 We also shared basic guides on working with resin models, and magnetising your Karist Heavy Weapon troopers, and some conversion spotlights on a re-posed Gnolti, an Epirian Light Carrier Drone and Sentinel Bot and a veteran Gnolti 'Longhorn'. Over the next 6 months, we will be continuing our regular model releases, starting with our newest plastic kit: the Epirian Secdef! 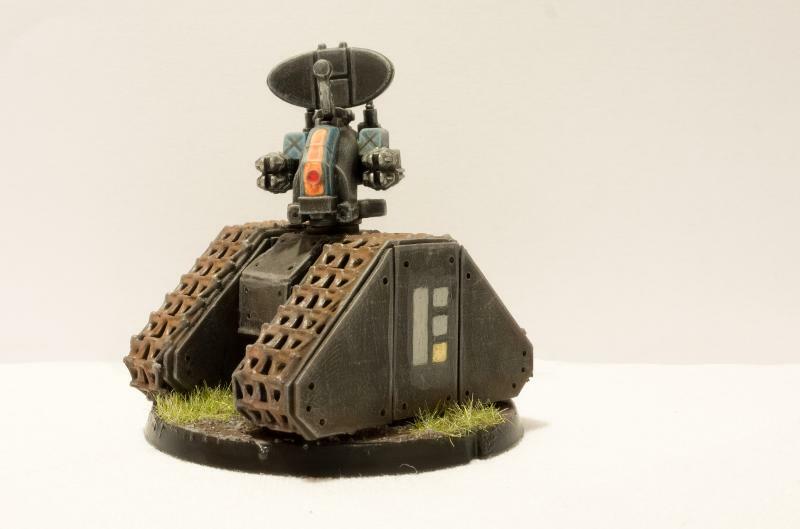 And of course the Comm Guild articles will continue to bring you more tips and techniques for making the most of your models. Stay Tuned! 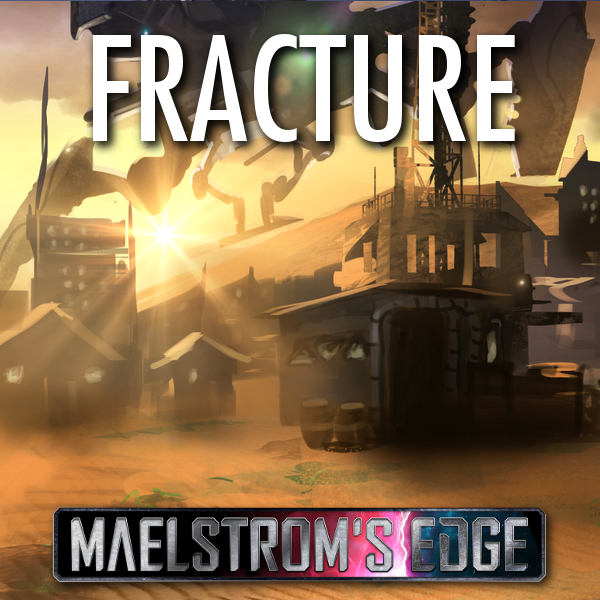 Join in the Maelstrom's Edge discussion on the Comm Guild Facebook page! 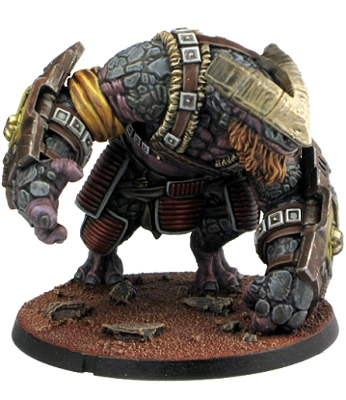 To pick up the Maelstrom's Edge model range, visit the webstore here. Victory. The elusive mistress that haunts our gaming hours. How do we capture her? Well, in Maelstrom's Edge, we do it by counting up Victory Points, and hopefully winding up with more of them than our opponents. 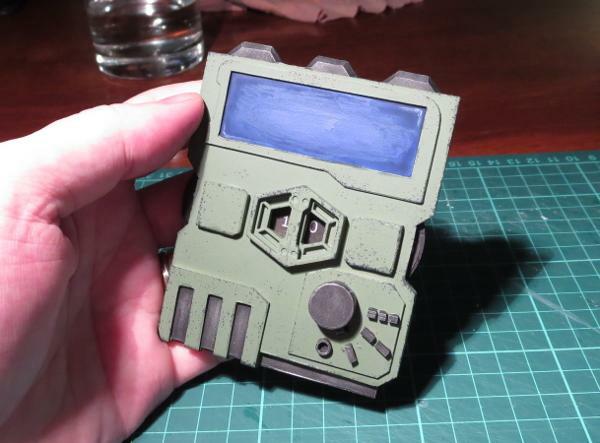 The Battle for Zycanthus box includes Victory Point trackers along with the plethora of tokens and markers found within, but I decided that I wanted something with a little more spectacle, and so I built myself a VP tracker for my Epirian force. 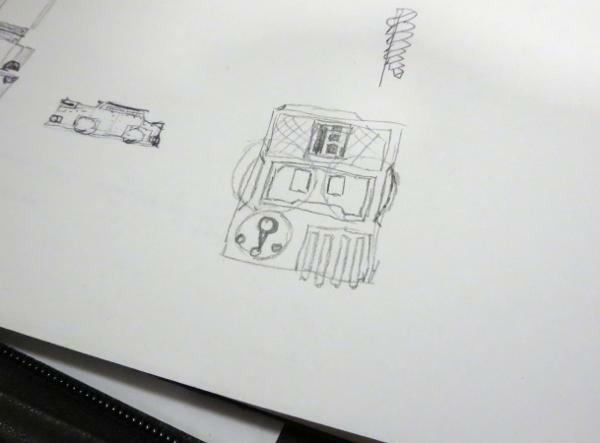 This all started with a rough concept sketch, to get an idea of how things should fit together. I then made a quick mockup in cardboard, as a sort of proof of concept, and to get a better feel for the size it needed to be. 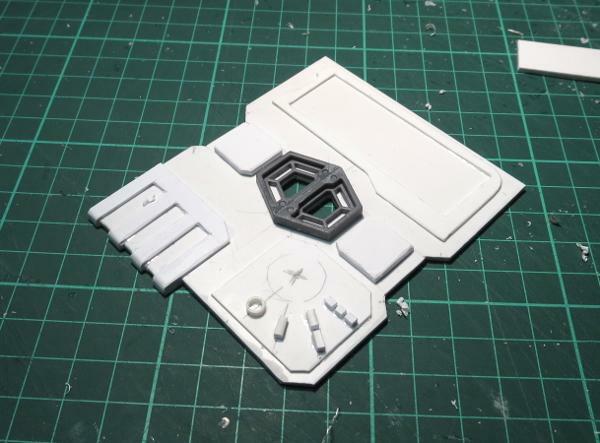 The main body of the tracker is made from layers of 2mm thick plasticard. 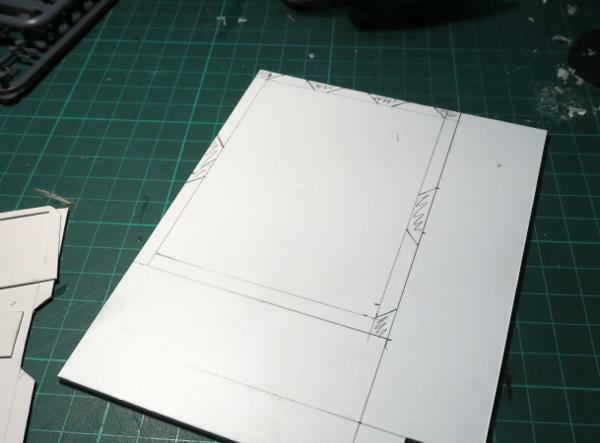 Each layer was marked out in pencil and then cut out and the edges smoothed down. To show the current VP total, there are two dials with the numbers 0-9 marked around the edge. 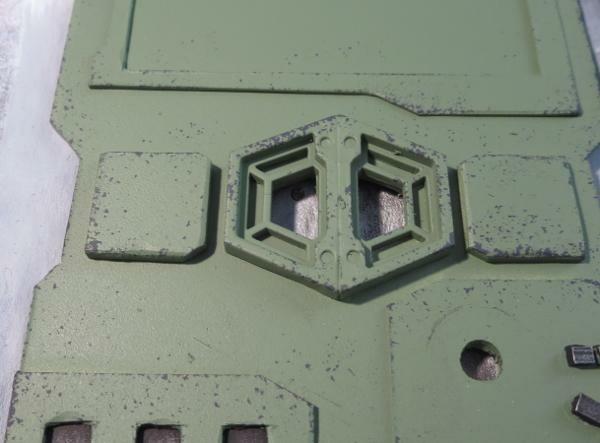 These are cut from thinner plasticard, with a spacer added on the top surface so that the face with the numbers on it doesn't rub against the inside of the tracker's front. 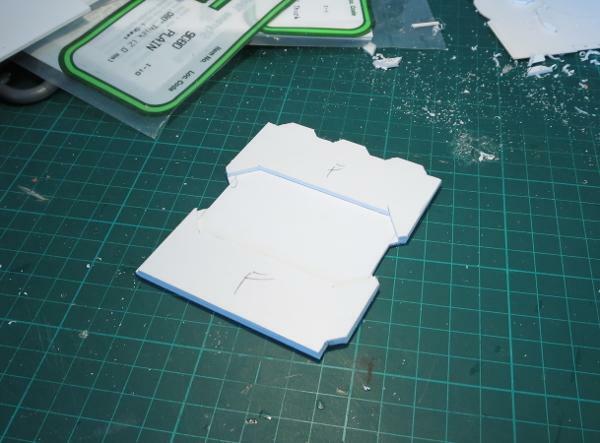 The windows for the VP display are made from a couple of trapezoid windows from the Maelstrom's Edge terrain sprue. I used a razor saw to slice through the windows just behind the interior bracing, to make them a little thinner and so that the bracing would sit flush against the front plate of the tracker. 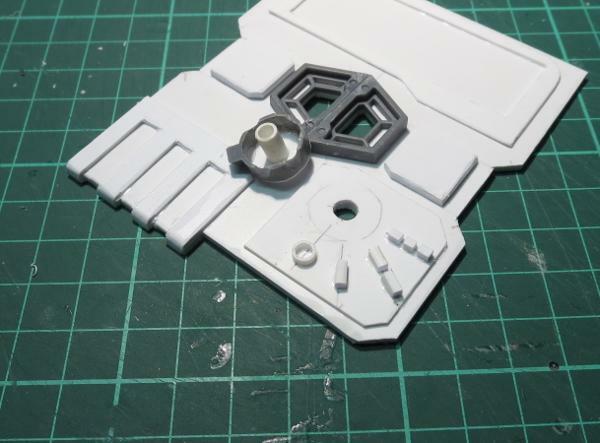 From there, I cut a couple of trapezoid holes in the front plate to match up to the large openings in the windows, and then added a bunch of detail with various pieces of plasticard. In the bottom corner, I added a rotary switch for tracking how many times the special faction objective has been tapped. With detailing complete, it was time to paint! 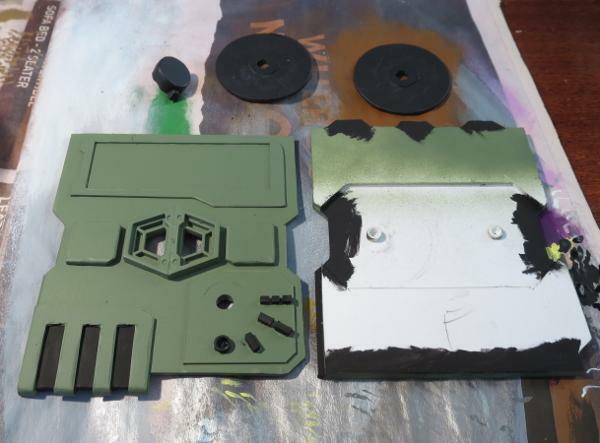 I basecoated the tracker with Army Painter Army Green spray, and used some flat black spray on the VP dials and the rotary switch. I wanted some metal detail on the tracker to break up the colour a little, so re-basecoated some appropriate spots with some black. 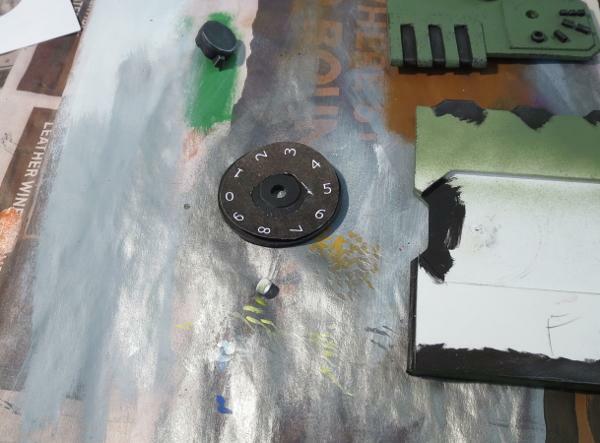 I also added a little black inside the side openings for the dials, just to avoid having the white plastic showing through when it was assembled. 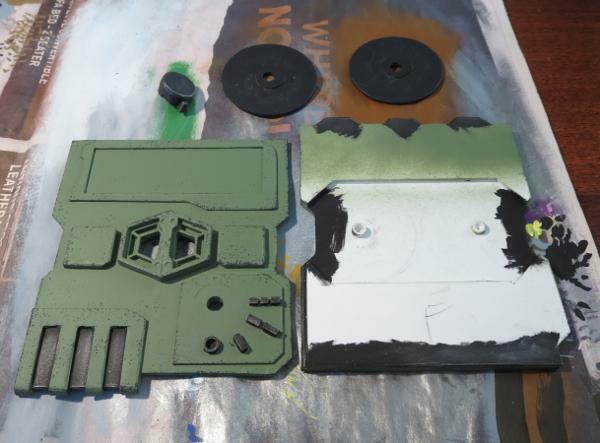 The metal parts then received a drybrush of P3 Pig Iron, and some weathering added with Vallejo Heavy Charcoal applied lightly with a sponge. 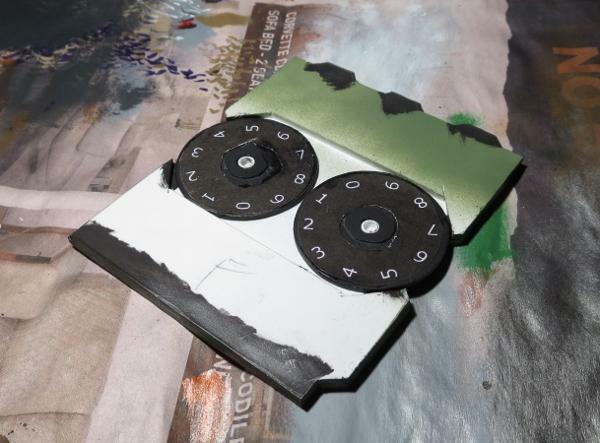 The numbers for the VP dials were drawn up on black circles in Gimp and then printed out, cut to shape and glued onto the plastic dials. Finally, the front plate was glued in place, and the screen painted with some Ultramarine Blue and shaded with Army Painter Blue Tone. 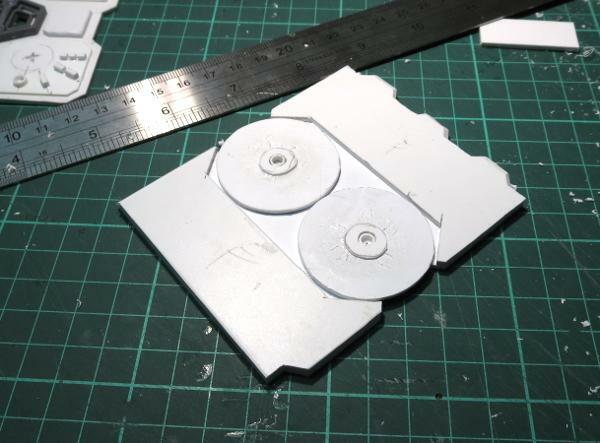 My plan is to make up some smaller versions of the mission cards to sit in the screen cavity. 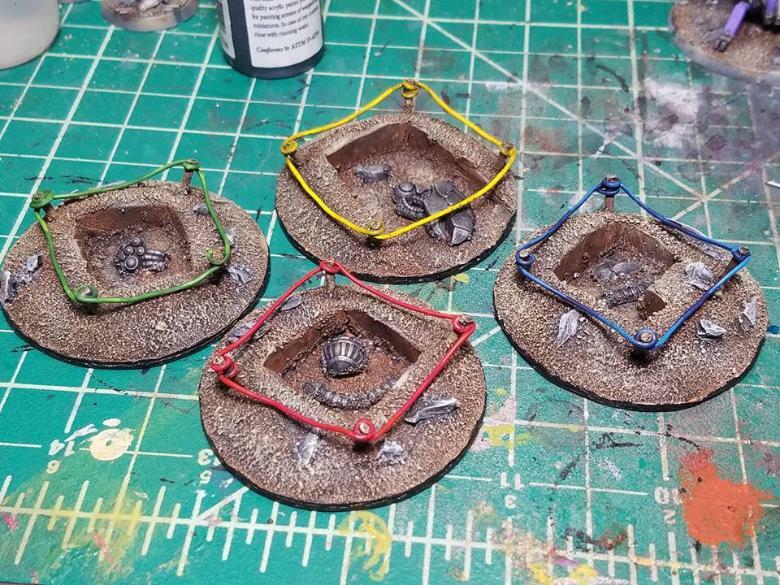 And then, of course, the next step will be to make some similarly themed trackers for my Karists and Broken! 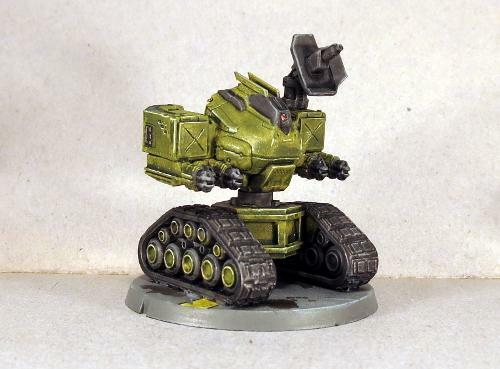 Have you built anything unusual for your Maelstrom's Edge games? We would love to see your creations on the Comm Guild Facebook page! You can find the entire Maelstrom's Edge range in the webstore here. This year saw the release of the long-awaited third faction for Maelstrom's Edge: The Broken! 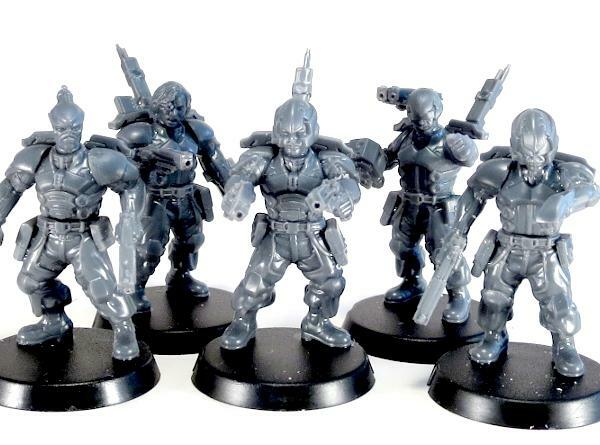 The Broken Infantry Pack consists of 4 sprues loaded with bits, that allow you to build Broken fighters from any of three 4 different unit types. 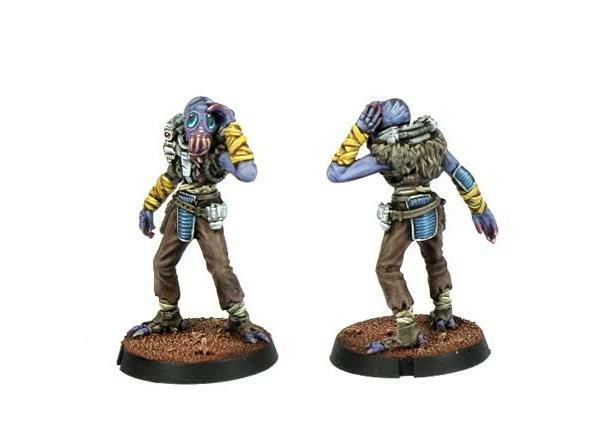 And this is just scraping the surface of what we have planned for the Broken - 2018 will see plenty of new releases to fill out their roster, with additional troop types and a slew of new and fantastic alien species. 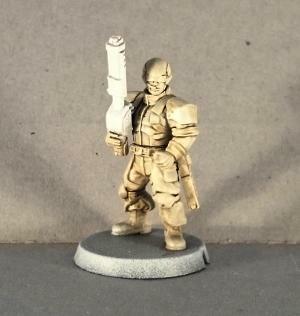 Also on the release front, we launched a supplemental range of resin models, starting with the Karist Angel Hellblaster. While plastic models are great for all sorts of reasons, they have a rather long development leadtime, which slows down releases. 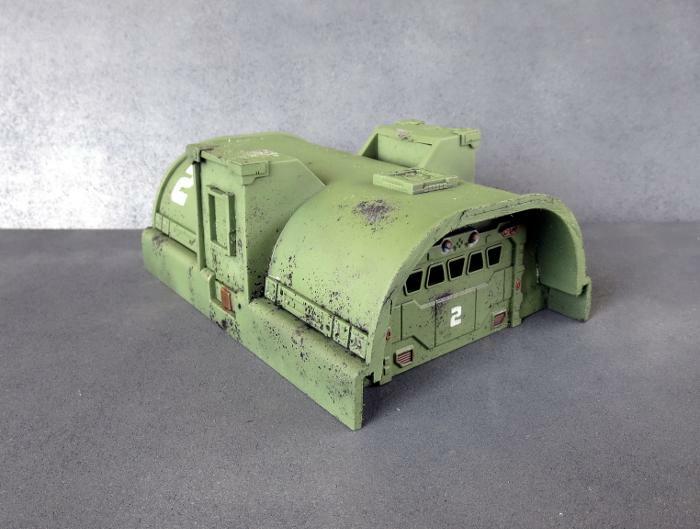 Adding resin models allows us to get new things out more regularly, and also lets us develop models that wouldn't necessarily be practical or economical in plastic. 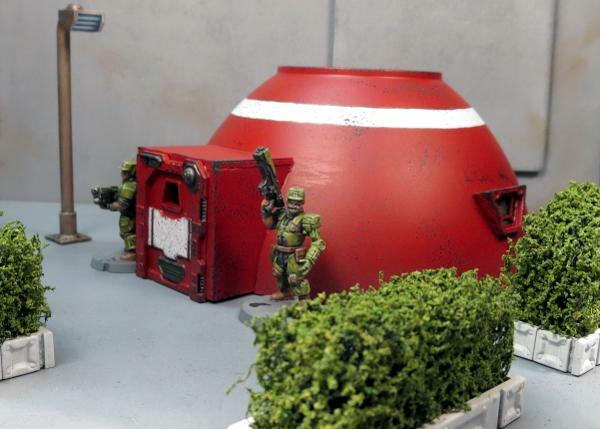 So the aim going forward will be to have the core range remain in plastic, supplemented with resin models which will allow us to have a new release out every month. 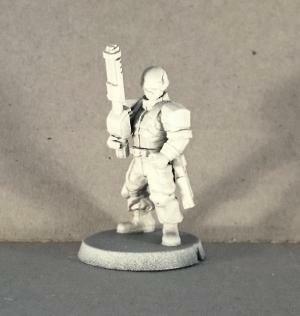 The Hellblaster was followed up with Karist Heavy Weapon troopers, and this month saw the addition of an official model for the Karist Angel Keeper (which previously had a playtest rules card but required some conversion to build a model). 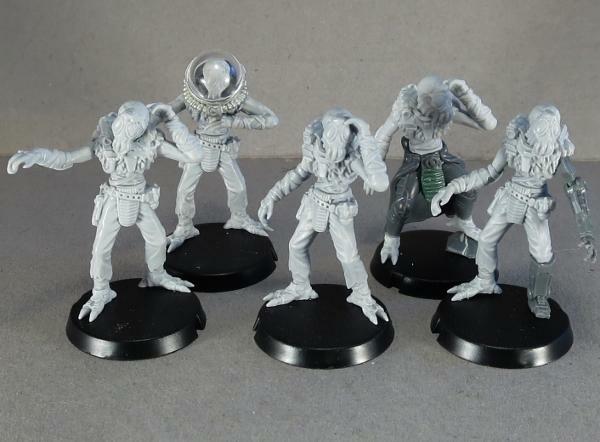 It's not all Karist love, though - Epirians and Broken will be seeing some releases very soon! 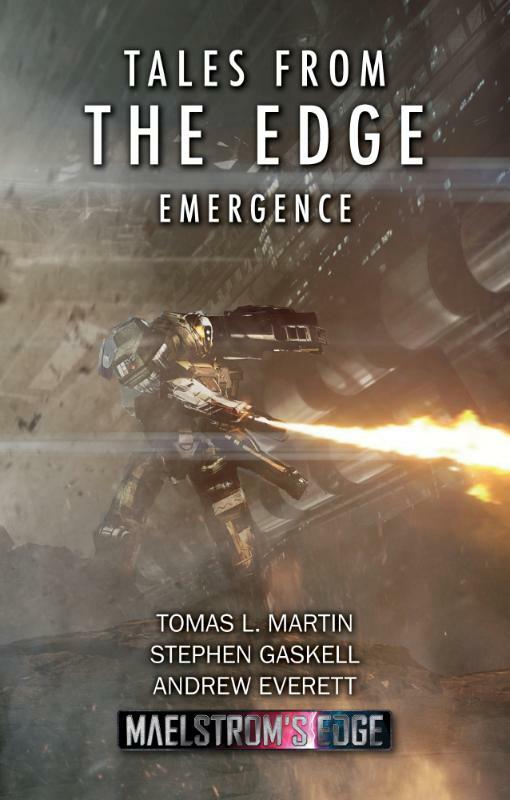 On the fiction front, 2017 saw the release of Tales From the Edge: Escalation. This is our second compilation of short stories, and features work by some great names in science fiction, including Alastair Reynolds, Aliette de Bodard and Liz Williams! 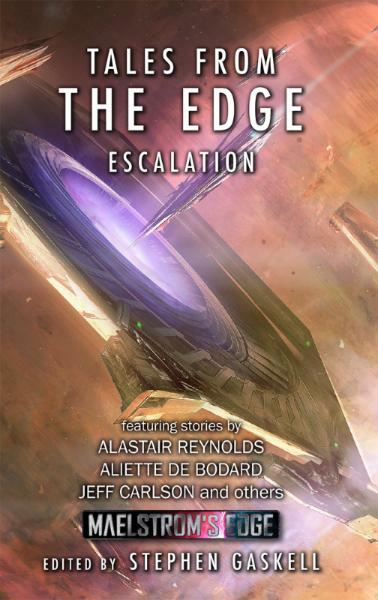 Escalation is available in print through the Maelstrom's Edge webstore, or as a eBook through Amazon. 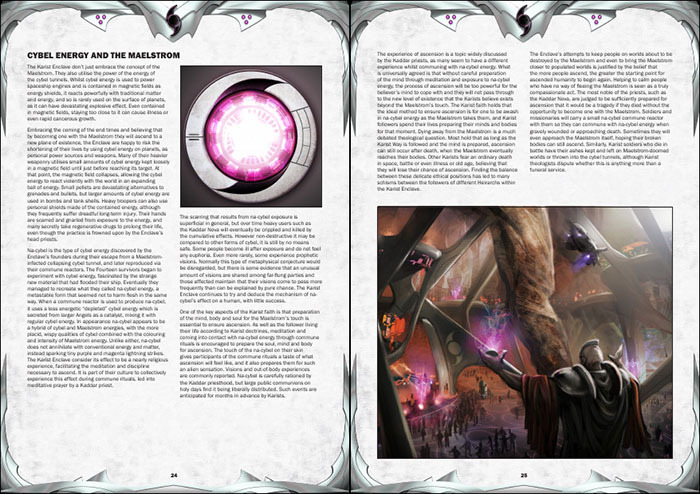 To go along with the book release, we took a bit of a look at what went into creating the fiction for Maelstrom's Edge with a series of articles here: Crafting Tales from the Edge, Developing Stories for Maelstrom's Edge, and The Maelstrom's Edge Fiction Creative Process, by Tomas L. Martin. 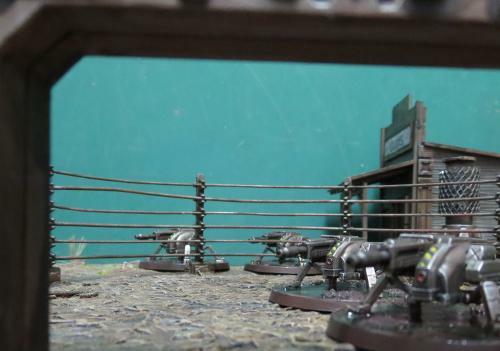 We went to town with the terrain sprue, with tutorials on shipping containers, buildings made from plastic storage trays and drainage channel, and some ideas for scatter terrain, blast craters, hedges, streetlights and 'blanket' door coverings made from bandages. We also shared templates for making a small minehead building and a larger bunker. 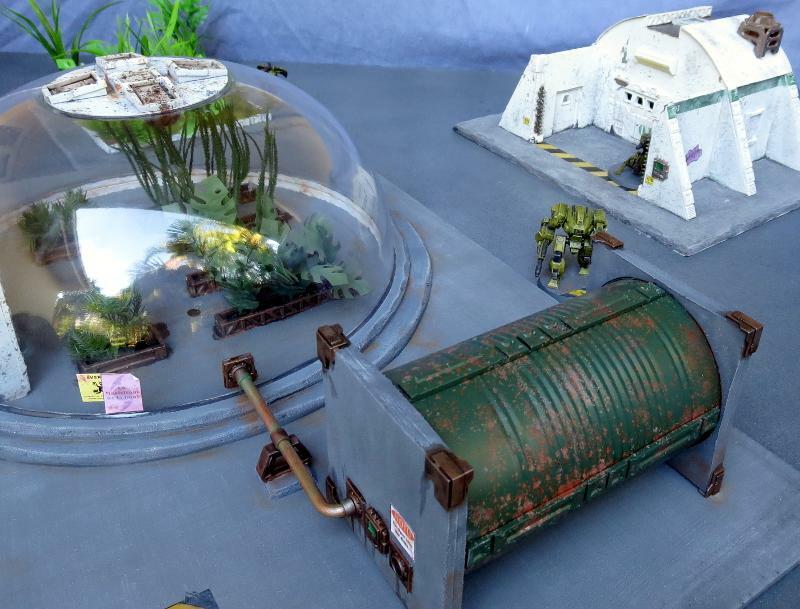 We also showcased a huge array of different terrain projects, including a plantation dome and a massive landing pad piece. 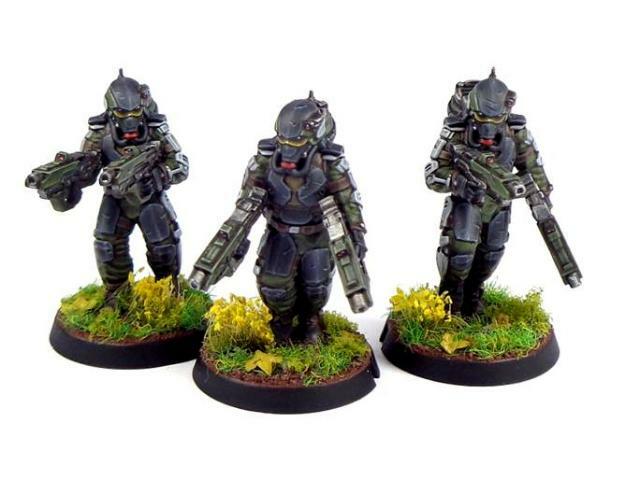 The models weren't forgotten, with tutorials on sculpting your own gas masks for your Epirian contractors, painting weathered-looking metal and heat stress on weapon barrels, a run-down on a quick-painting method for Broken Rabble units, and a guide to making bionic arms for your contractors from Scarecrow arms. 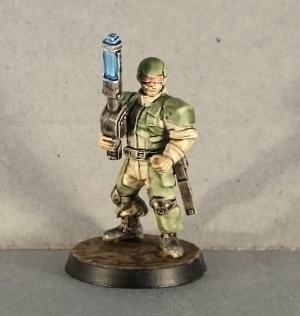 We also offered conversion tutorials and homebrew rules cards for a couple of new units types: The sneaky, sniping Reaper Cadre for the Karists, and the heavy-weapon-toting Scorpion Drone for the Epirians. 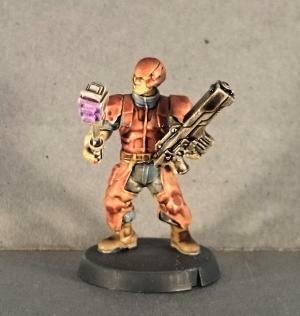 Along the way, we showcased a bunch of different modeling projects, including some small Epirian and Karist forces, some variant Epirian bot ideas, and a winged Angel conversion, amongst many others. 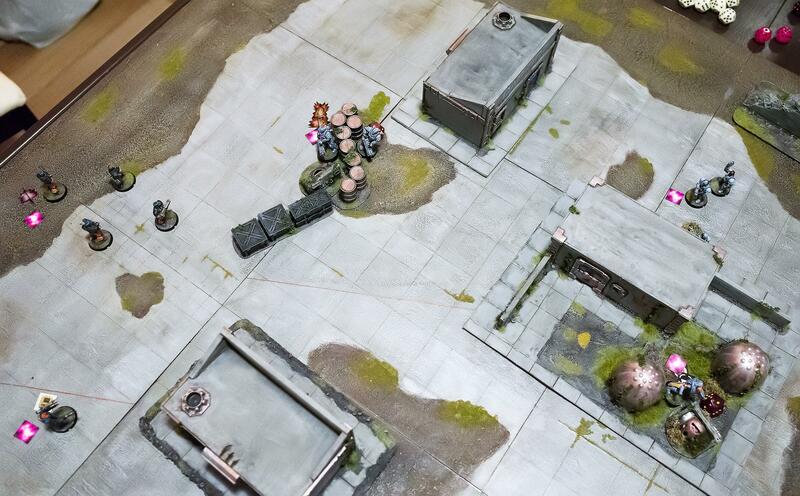 Gaming was also covered, with another fantastic battle report from DakkaDakka's Sgt Oddball - a Karist vs Epirian 'introductory' mission entitled 'The Final Act. 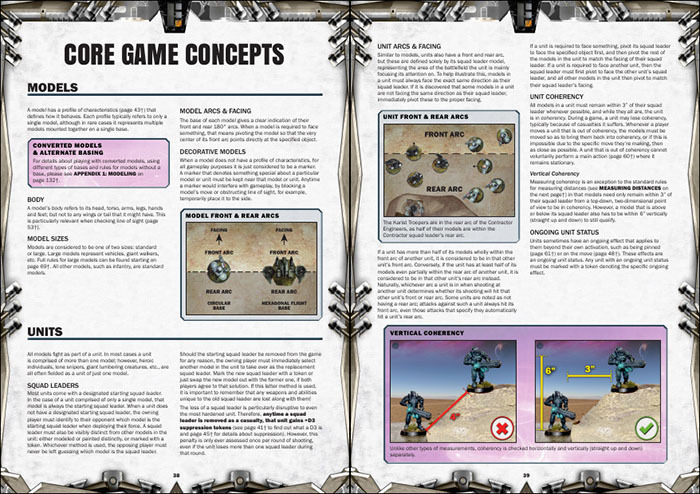 We also published a series of articles alongside the Broken release, taking a close look at their rules and how they fit into the game. You can find these here: Part 1, Part 2, Part 3 and Part 4. We have a slew of projects currently in development, and 2018 will see us continue with a new release each month to flesh out the three existing factions. 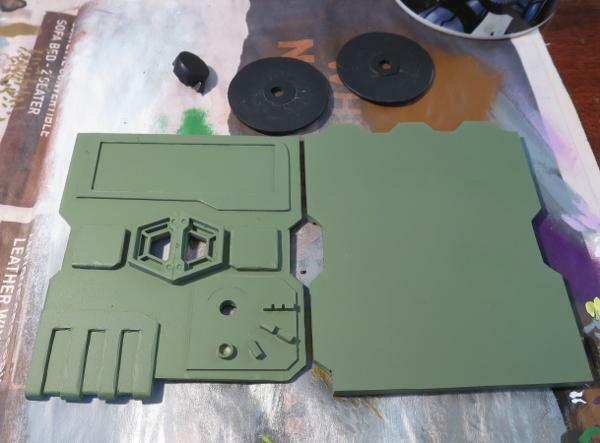 This will include a couple of new plastic kits for the Epirians, and something a little bit... let's say 'heftier' for the Broken. Design work is also well underway for the next faction, which will bring some fun toys to the table for battle suit enthusiasts! Stay tuned to the Comm Guild blog or the Maelstrom's Edge Facebook page for updates! 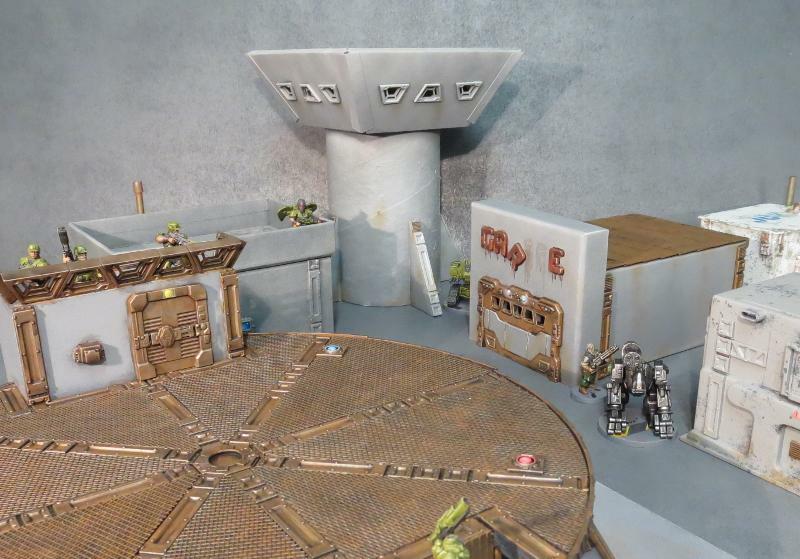 You can find all of our miniatures, the terrain sprue, and our fiction on the Maelstrom's Edge webstore here. 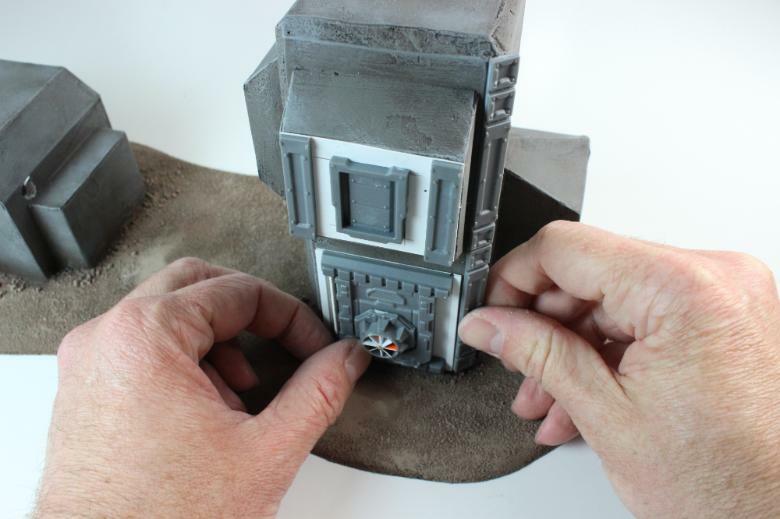 For all of our modeling articles to date, including tutorials and walkthroughs of a wide range of different building and miniature projects, check out the article roundup here. And as always, feel free to join in the discussion in the Comm Guild Facebook Group here! This month saw the release of the first volume of the Tales From The Edge series of books, featuring short stories from the Maelstrom's Edge universe. This book is titled Tales from the Edge: Emergence, and is available in digital format now. 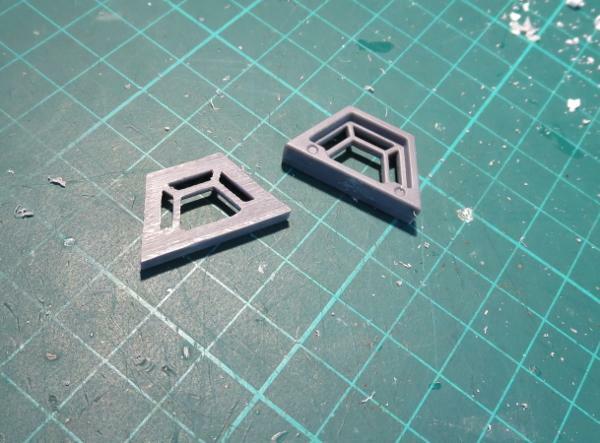 Also released this month are our model bases, now available separately! 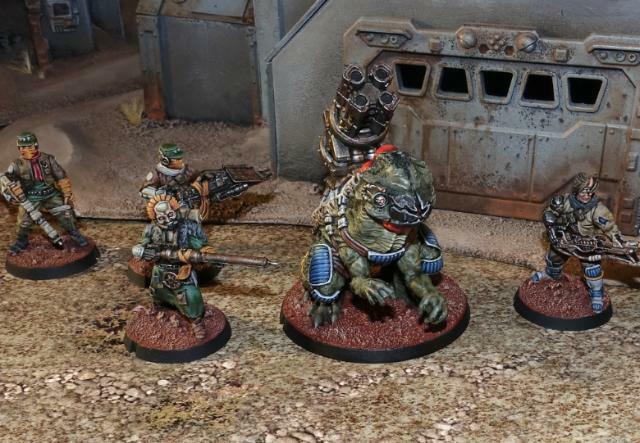 The October Spotlights included a rather sinister-looking Epirian Bot Handler, an even nastier looking dark red Angel, an Epirian Hunter toting some serious firepower, a Firefly drone in our box-art colour scheme, and a ruined hab block from our studio terrain collection. 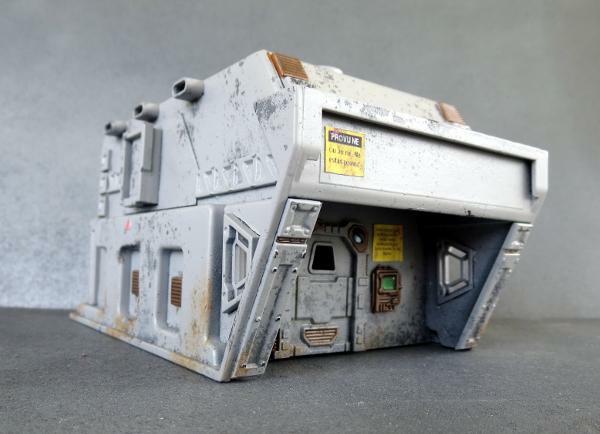 We had a bit of a look at some great MEdge buildings made by Dakka Dakka user Panic, using plastic electrical boxes. 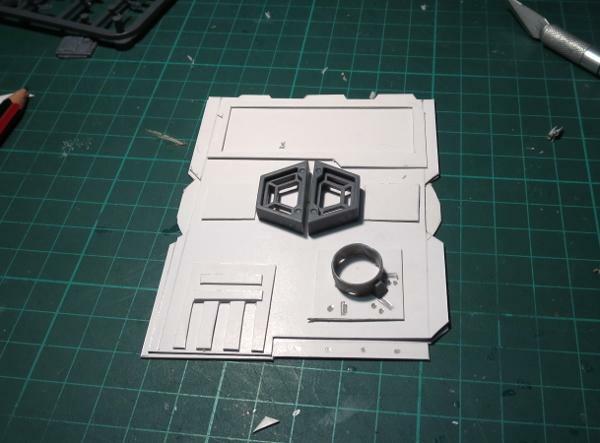 While we're talking about terrain, there was a tutorial by Iain Wilson (insaniak from Dakka Dakka) showing how you can create quick and easy buildings using the Maelstrom's Edge terrain sprue and cardboard gift boxes! 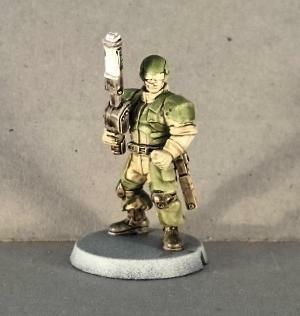 Iain also shared a tutorial on painting with washes; a valuable technique for getting a new force on the table as fast as possible. 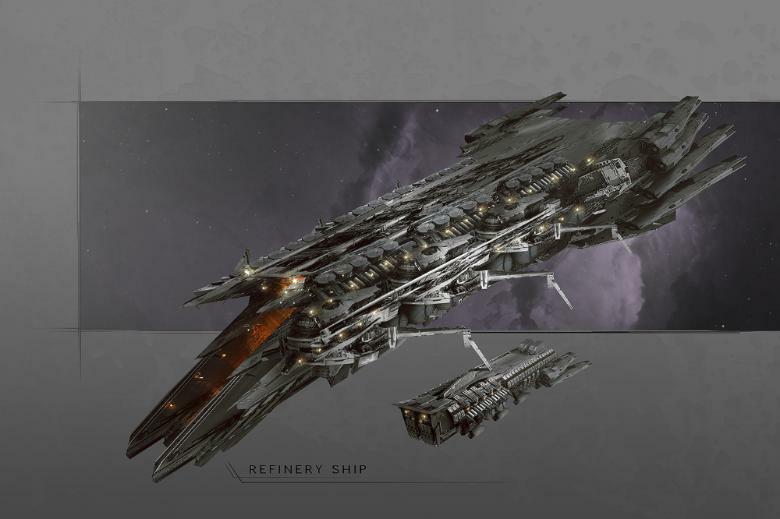 Our rapidly expanding range of artwork and background features this month included the very first completed art piece for our Karists, the mature angel, an interstellar hydrogen harvester, some scout ship artwork, some fiction on terraforming, metalloceramic production, the Kasmenai, the birth of the Karist movement, a second and third weapon preview for the upcoming Broken faction, a better look at the artwork featured on the cover of Emergence, and a look at the digital rulebook. Amongst the other great contributions by MEdge fans were Panic's Epirian Doom Marines, TP^DC Deputy Manager's Angel Minnow, and a desert-themed Hunter bot by Zambro. Starting after this post, we'll be reducing our posting frequency from daily updates to a more sporadic output. The constant flow of content is now being penalised by social media algorithms and we actually get a much higher readership for less frequent posting. We've got a lot of great hobby articles in the pipeline, as well as more of the usual content. In addition, the more detailed articles will not be pushed off our homepage as quickly as they have been due to our frequency of posting model photos! 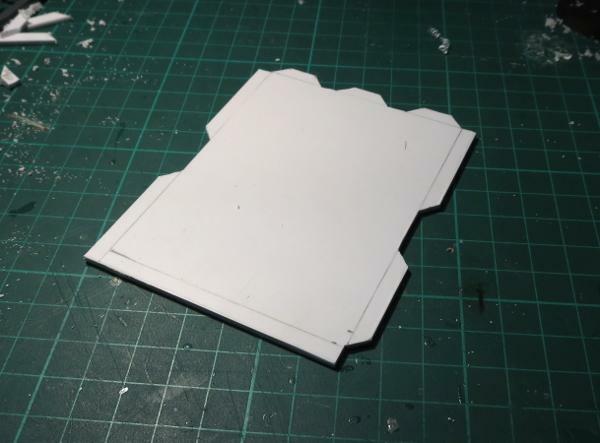 We thought today we'd highlight the timelapse video above which shows the construction of a building from scratch using the Maelstrom's Edge terrain sprue, previously covered in step by step photos in a previous blog post here at The Comm Guild. 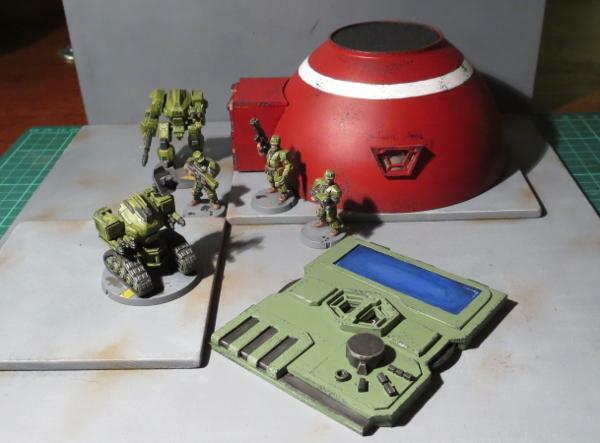 Dakka user and friend of Maelstrom's Edge, Panic, has been an amazing early adopter of the terrain kits. 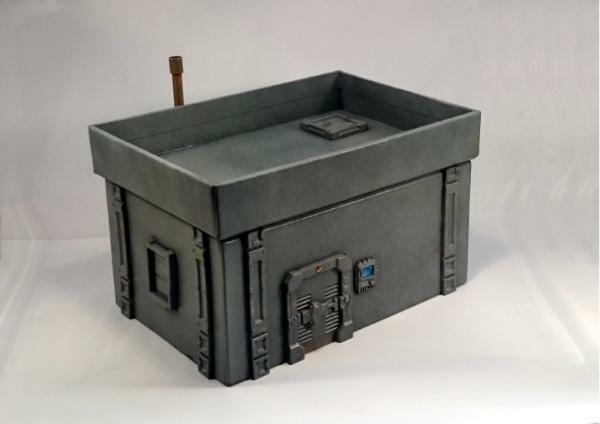 He came up with the great idea of taking an electrical box from a hardware store, slicing some holes into it, and adding Maelstrom's Edge terrain components. 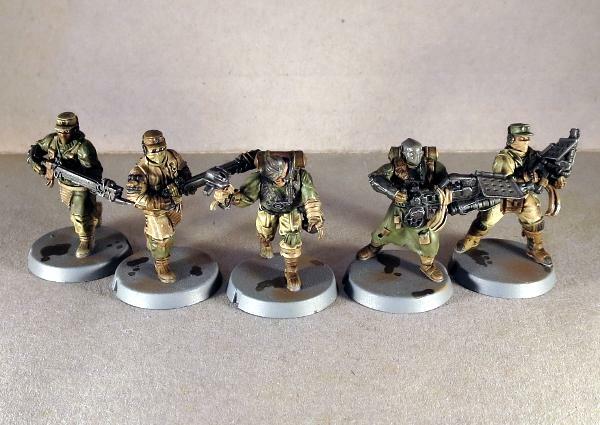 The above image shows the finished piece all nicely painted up. 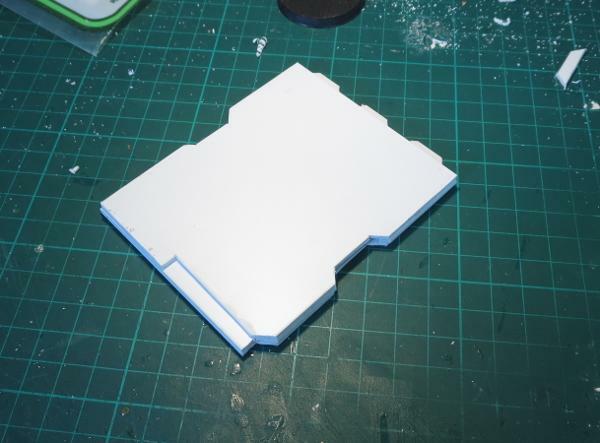 Any basic box that has texture on it already serves as an excellent base for terrain sprue components. One word of warning with electrical boxes though - they are a total pain to cut, so patience is definitely needed! 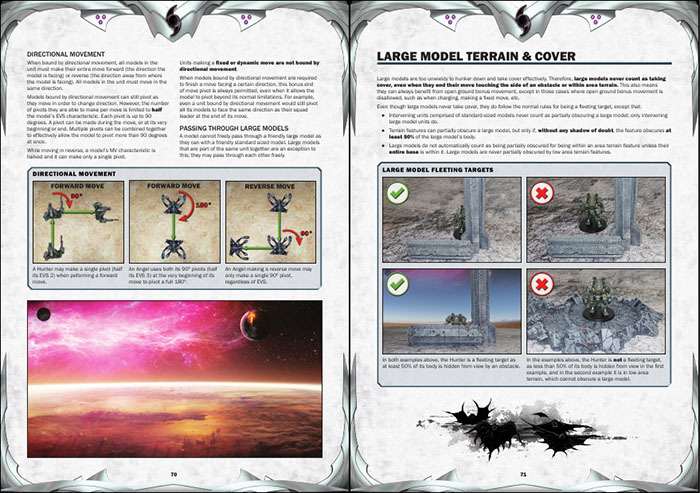 The rulebook is also supplemented nicely by our game walkthrough document, which can be read online as a webpage on maelstromsedge.com, or downloaded as a free PDF here. These nice, simple buildings make great use of the computer terminals and small doors, along with some additional decorative elements on the other faces of the buildings. All affixed to some olive pots of all things! Today we thought we'd share a nice, independent review of our game from Wayland Games' reviewer Roderick Brown. Our thanks to Roderick for such a comprehensive review!